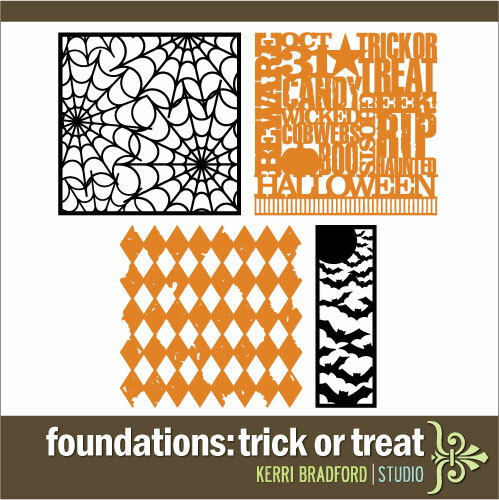 So here’s a few fun foundations for your Halloween pages! Of course, the diamonds can be used for any time of the year. I test cut that spider web image at 5″ and it cut beautifully too! Love the lacy look with that image! And as I look at my little cut out version, my mind starts thinking of using it as a background cut in frosted vinyl to make it look like it’s etched on glass and then combine with some other funky Halloween image. Hey Michele! You can use these at whatever size you need–whatever size your cutter can cut.